Sjávarbarinn (The Sea Bar) is a bright and homely seafood restaurant, close to the old harbour - opposite the Reykjavik Maritime Museum. The Sea Bar is quite spacious, seating 50 guests at a time, and prides itself on the main feature; an all-you-can-eat buffet, that has received raving reviews, as well as offering an á la carte menu at a competitive price. 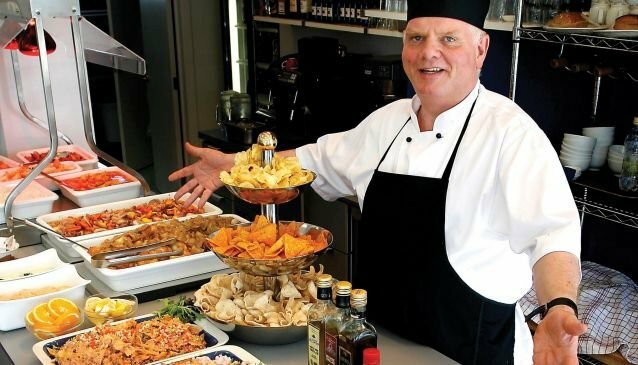 During the busy lunch hours, the buffet is packed with traditional Icelandic family recipes, attracting the working locals of the neigbourhood. Lunch at The Sea Bar gives the visitor a unique opportunity to join the locals on a regular working day in a friendly and cheerful atmosphere. You won't have to bring the big wallet to eat at Sjavarbarinn as all menu items are fairly priced and offer extremely good value. Although Sjavarbarinn is located within a walking distance from downtown Reykjavik it offers a free hotel pickup for those coming to dinner. For hotel pickup, please call the owner, Magnus Ingi Magnusson: +354 696 5900.